This guide will show you how to get paid on YouTube without relying on their advertising system or algorithms. You can also start using most of the advice in this article immediately, even if you don’t meet YouTube’s partnership requirements. Of course, larger channels will still earn more. At one point, YouTube allowed anyone with a YouTube channel to monetize their videos through the YouTube partnership program. In 2017, however, they began tightening control on monetization. Channels were required to have at least 10,000 views over their lifetime to qualify. Any channels that did not meet this requirement had advertisements removed from their videos and were no longer able to earn revenue. In early 2018, they unveiled a new set of rules. Channels now require 1,000 subscribers and 4,000 hours of view time on their videos in the past year to qualify for monetization. Many people criticized this as an outright attack on small channels, while others see it as a good way to make the site more advertiser-friendly. No matter what side you’re on, the evidence is clear: if you want to earn money from your channel, the standard YouTube monetization route isn’t a safe bet. Unless you already have a large channel with significant active viewership, your income can fluctuate or even disappear based on YouTube’s whims. The money-making strategies in this guide will show you how to get paid on YouTube without relying on their advertising program. Today we’re going to show you how to get paid on YouTube in four different ways: channel merchandise, Patreon, paid courses and other content, and ad reads. This is by no means a comprehensive list of monetization strategies, but it does encompass the most popular solutions for creators who don’t want to leave their income entirely up to YouTube’s algorithms. One of the most popular ways for YouTubers to earn money is to sell branded merchandise. Create some designs, or just print your logo on several different items, and sell them through an online distributor. We recommend Café Press for a variety of high quality merchandise. If you’re artistically inclined or have an employee who enjoys design, you can have all your merchandise designed in-house. It doesn’t have to be complicated artwork, either. 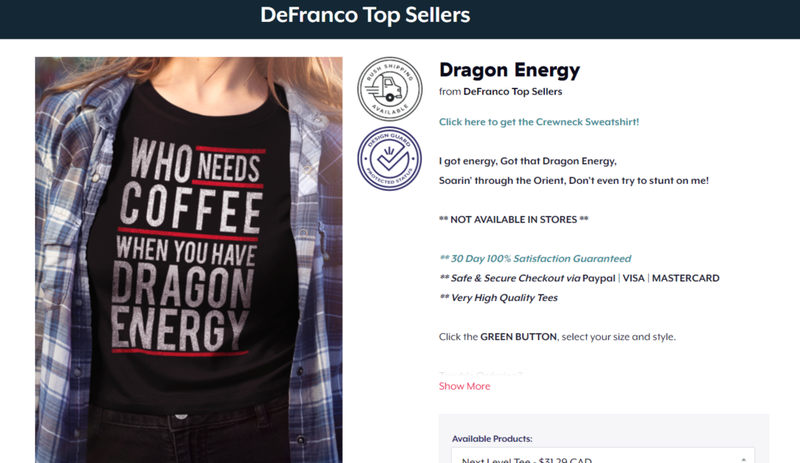 Popular YouTuber Philip Defranco routinely takes quotes from his show, replicates them in attractive fonts, and prints them on merchandise. Don’t have an artistic soul on the team? You can always commission channel artwork from a site like Fiverr. If your company is frequently at live events, you should also purchase some stock of your channel merchandise to bring on the road. Another way many YouTubers are making money is through the site Patreon. Patreon is a site that allows users to sign up for paid subscriptions to your content in exchange for a variety of perks. Common rewards include receiving videos early, getting bonus content, or getting the opportunity to choose topics for future videos. You can choose to have Patrons pay either on a monthly basis or for each video you create. Payments can start as low as $1. Smaller creators often rely on these low-level subscriptions for the bulk of their income. Many large creators, on the other hand, start their reward tiers at $5 subscriptions. To get an idea of what you should offer as rewards, take a look at existing Patreons in your niche. A good rule of thumb to follow is that your rewards should involve sharing things you’re already doing, like behind-the-scenes shots of your videos, rather than creating new work. If you do commit to making new work explicitly for Patreon subscribers, limit it to people who sign up for higher reward tiers. Another great way to make money from your YouTube channel is to create courses and other paid content based on your viewers’ needs. This can be more video content, an ebook, an email course, or anything else. The important thing is that it goes beyond what your YouTube channel is able to do to solve your audience’s problems. This method of earning money requires a significant amount of work but also has limitless potential to earn money for you. Things like ebooks and video courses only need to be made once and can be sold in perpetuity. Worried about how to build that kind of functionality into your website? You don’t need to. Many YouTubers, like Jenna Moreci, host their classes on sites like Skillshare. Interactive courses will require more resources and you’ll only be able to sell them a few times a year, but you can charge higher prices for them. At this point, you’re probably wondering how to get paid on YouTube for your videos themselves. Ad reads and sponsored posts are the key. Ad reads and sponsored videos are both forms of advertising, and therefore only work for channels with a significant following. You won’t find many companies interested in sponsoring a channel that has fewer than 5,000 subscribers. That said, doing ad reads and/or sponsored videos is the best way to earn money directly from your YouTube videos. Ad reads are short, paid advertisements interspersed throughout your video. In shorter videos, these are usually at the end. In longer videos they sometimes appear in the middle. Some companies will provide specific language for you to use. Others will allow you to get creative with your ad read, so long as you mention a few key features. 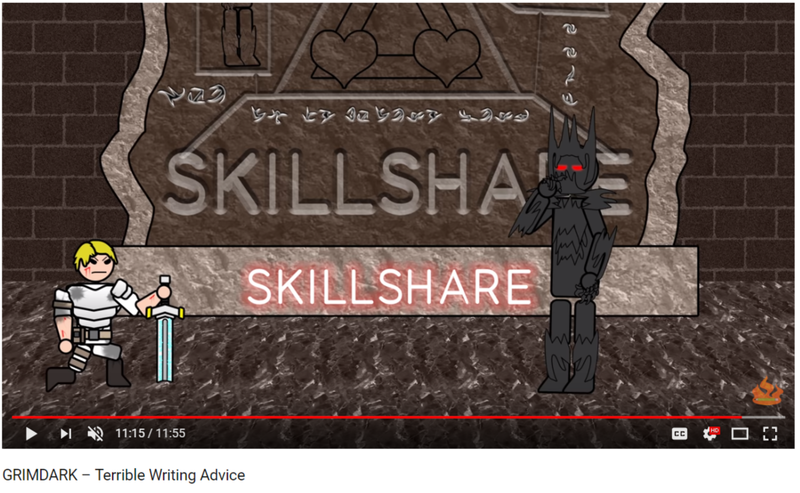 One YouTube channel that has particularly creative ad reads is Terrible Writing Advice. Sponsored videos are typically entire videos based around a topic chosen by a company. Perhaps the most common type of sponsored post is the now infamous unboxing video, which features a YouTuber opening a box sent to them by a specific company. It should be noted that many audiences have mixed reaction to channels that monetize their videos in these ways. You may encounter rude comments about this, or even lose a significant portion of your audience. Only take this step if you’re confident in your audience’s loyalty and your ability to continue growing the channel. If you want people to buy your merchandise or content, or to subscribe to a Patreon, you must develop a loyal fan base. Knowing how to get paid on YouTube only takes you so far when nobody likes you enough to buy your stuff. Know your goals – Does your channel exist to market your brand? Or do you want it to become a second business? Remember your primary goal when deciding how much you’ll commit to earning money from YouTube. Create excellent content – Use an extension like TubeBuddy to plan content based on your audience’s interests, and always publish high quality videos. Optimize your channel – Your channel should be easy to find and easier to navigate. Check out our guides on YouTube SEO and channel layout. Promote your videos – The best way to give your YouTube channel a head start is to send your existing audience there. The TubeBuddy extension comes with several marketing tools to simplify this process. You might also want to check out our guide to promoting your YouTube channel. Employ as many money making strategies as possible – Diversifying your business’s income is the best way to guarantee long term success. The same is true for your YouTube channel. Most successful creators employ a host of different money-making strategies. Get creative – The options in this article are only a handful of the ways you can earn money from YouTube. Brainstorm with your team to figure out how to get paid on YouTube in creative ways. Knowing how to get paid on YouTube is only the beginning. None of these strategies will provide a secondary income if you only have ten subscribers. Remember that success on YouTube, like all social media channels, requires consistency. Are you interested in any of these monetization strategies? Have you tried any of them before? Let us know all about it in the comments section below! The post How to Get Paid on YouTube (Without Relying on YouTube Ads) appeared first on Revive Social.